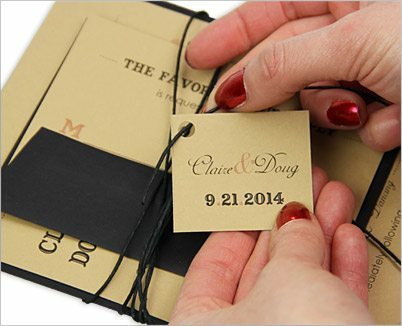 Hemp twine and earth tones make it rustic, bold fonts make it modern, and a personalized tag makes it fun like a present. 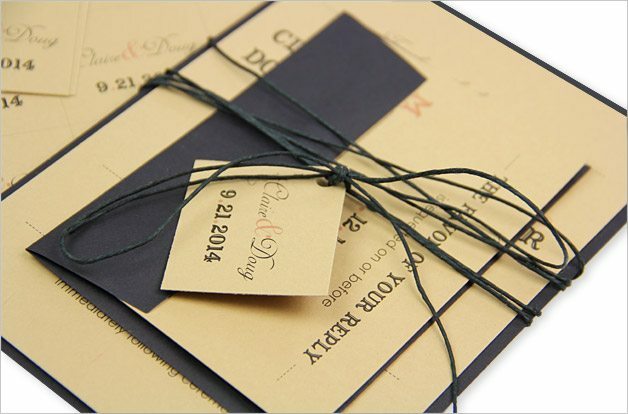 Inspired by my personal obsessions with western fonts, twine wraps, and Kraft, I am very excited to share this rustic wedding invitation design template & tutorial with fellow DIYers. In the tutorial below, you’ll find all the tools you need to replicate this modern design for your wedding. 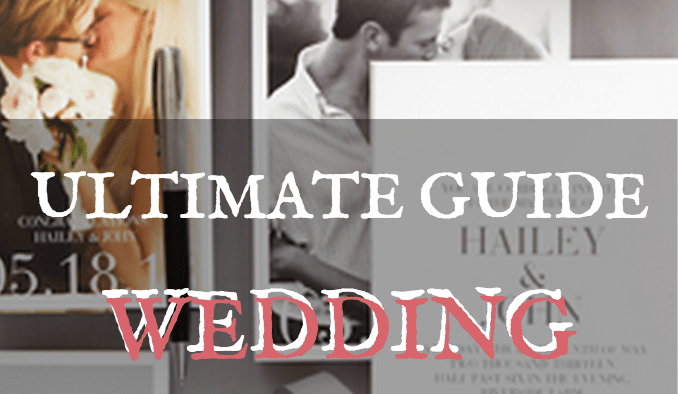 If this invite isn’t quite your taste, you’ll also find everything you need to tweak it to your wedding style. All materials for this invitation are from LCIPaper.com. For more information on materials, please visit the detailed materials list. 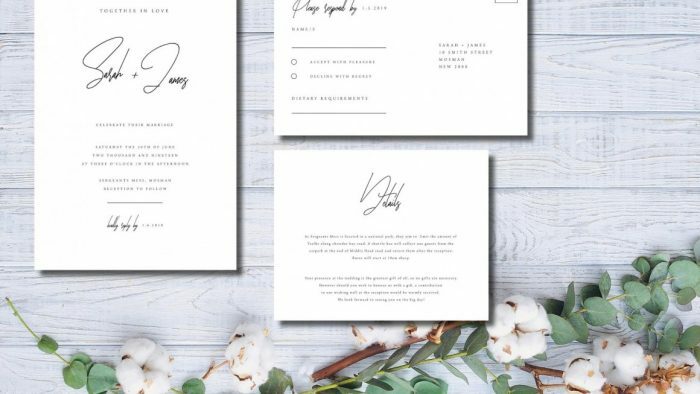 Click the link below to download printing templates for your invitation, reception, and invitation tags. For your convenience, templates are sized correctly, are in standard Arial font, and include the sample wording shown below. The download also includes instructions for printing custom sized documents using your home computer and printer. 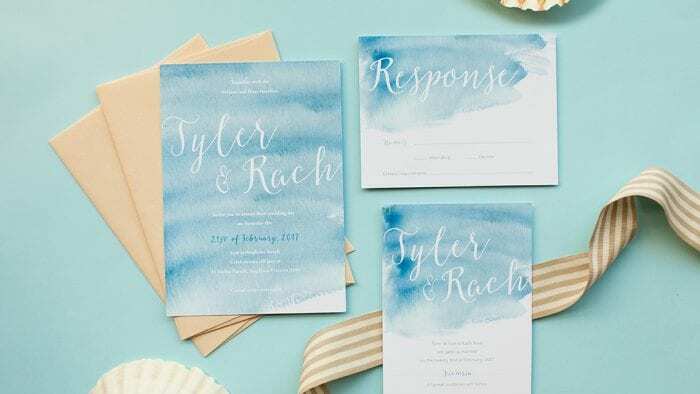 Customize invitation templates by entering your own details and changing fonts and colors to complement your event. What fonts are shown on this design? All of the fonts featured on this design are available as free downloads (just search free fonts)! 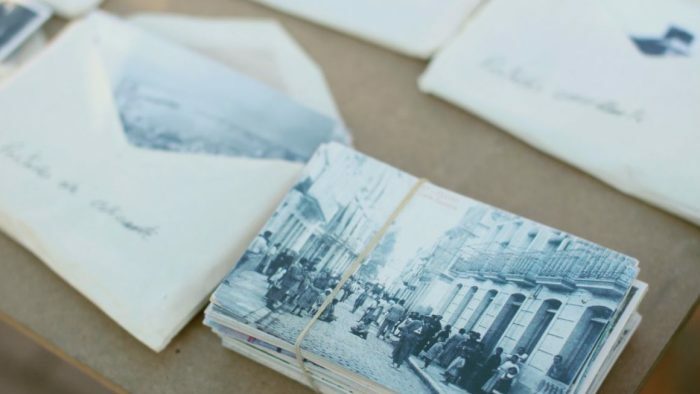 Use the instructions you previously downloaded to print your invitation card, response card, and tags. Note: Heavyweight 111 lb Gmund Colors card stock was printed using a high end ink jet printer. 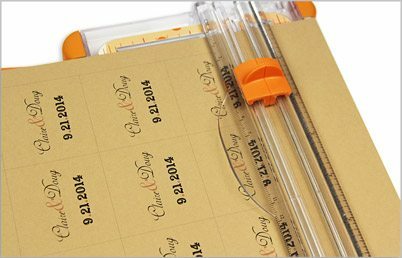 Using a paper trimmer (or other preferred cutting tool) cut along the printed guidelines to yield 20 individual invitation tags. 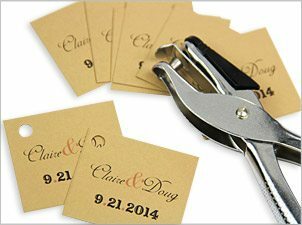 Punch a hole in the corner of each tag using a standard hole punch. 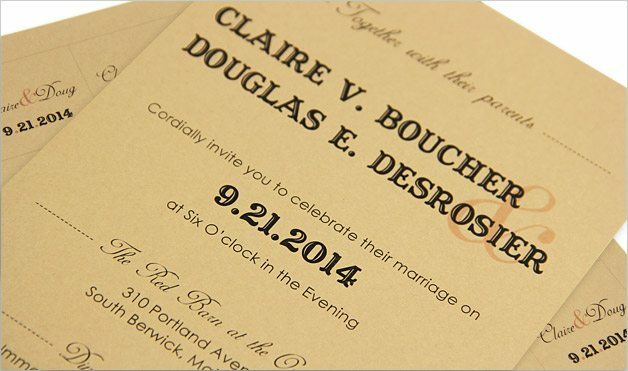 Adhere your printed 4 7/8 x 6 7/8″ invitation card to your 5 1/8 x 7″ backer card using the adhesive of your choice. 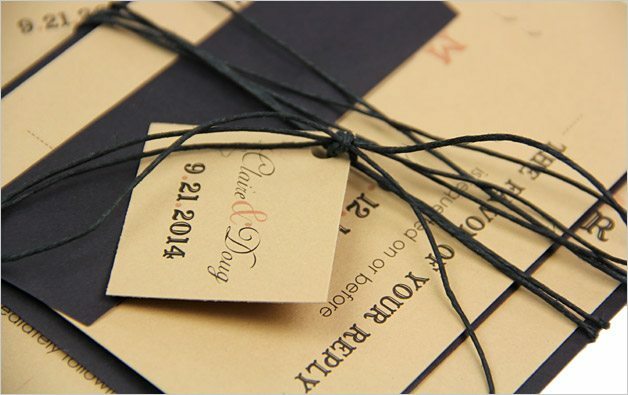 Wrap approximately 40 inches of twine several times around your invitation and response card. 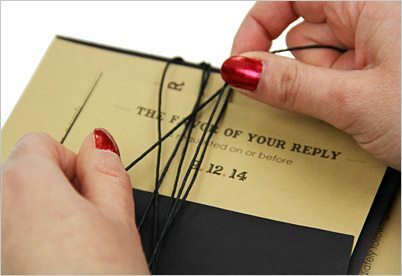 Wrap the twine so that both loose ends end up in the front of the invitation. 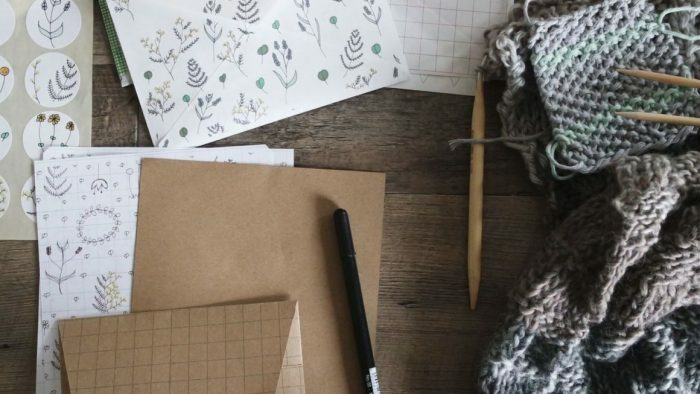 The beauty of twine is that it is supposed to look rough and rustic, so do not worry too much about your wrapping method. If you have any questions or comments about personalizing this design, post a comment below! 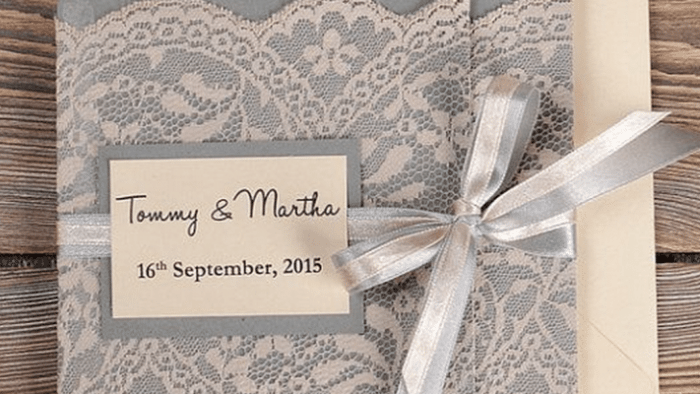 Have questions about this wedding invitation template? Comment below and Kristen will eagerly assist!